Shown are Sharon Brown Harriott, South Atlantic Regional Director, Gamma Rho Omega Basileus Willetta Ritchie and International Supreme Basileus Dr. Dorothy Buckhanan Wilson. 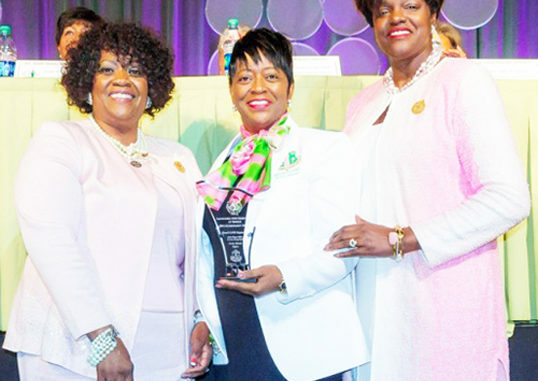 Over 100 members of Jacksonville’s Gamma Rho Omega Chapter of Alpha Kappa Alpha, Sorority, Inc. trekked to Atlanta, Georgia last weekend for the 64th South Atlantic Regional Conference. For the second straight year, the chapter garnered top honors amongst 160 other chapters for excelling in their programming to the community. 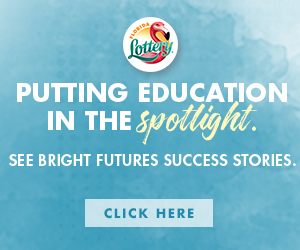 The chapters Signature Program – ASCEND (Achievement, Self-Awareness, Communication, Engagement, Networking, Development), serves high school students at the NEFL Boys and Girls Club. The chapter is currently celebrating their 75th Anniversary and was recognized during the conference with the distinction of becoming a “Diamond chapter,” along with Camilla Perkins-Thompson who is the chapter’s newest Diamond Member in recognition if her 75-years of membership.